i'm just waiting on my ladlords verdict but should hopefully making a trip to the centre in just over 4 weeks! A wee black girly wouldnt go amiss :) hehe. Dean you could do with a new pic of panda as there doesnt seem to be one on the site anymore. yup def worth putting one up of him then. What about writing up a bit about some ofthe many albinos you have too? 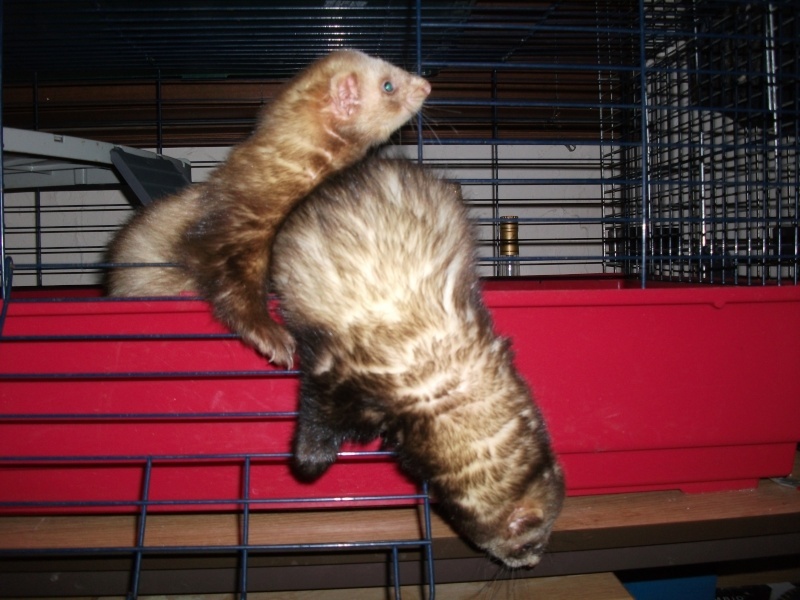 if there is a ferret that likes to live alone. 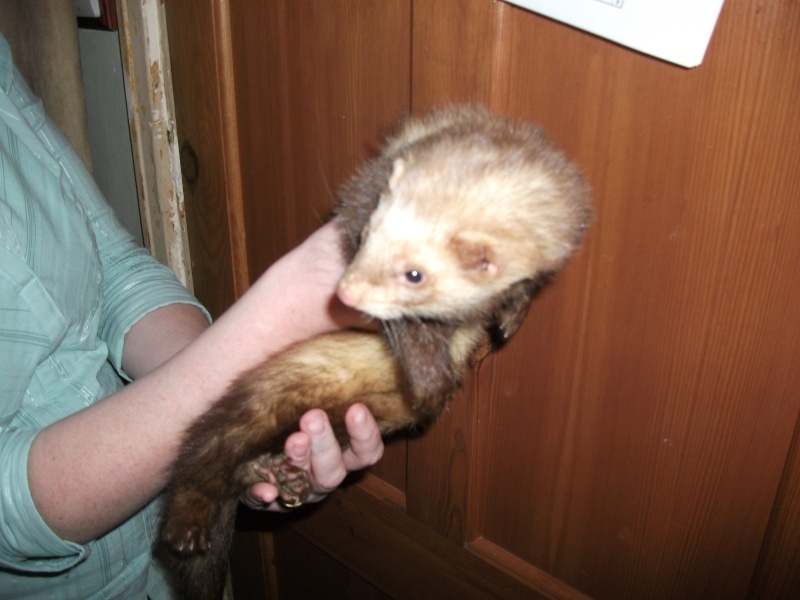 is it ok to keep the ferret outside or in the shed without it getting to loney. you see i would be happy to get just one if it was a loner. but worry that it would not like being on its own in the cage where it cant see me. and are loners just as good as pets? 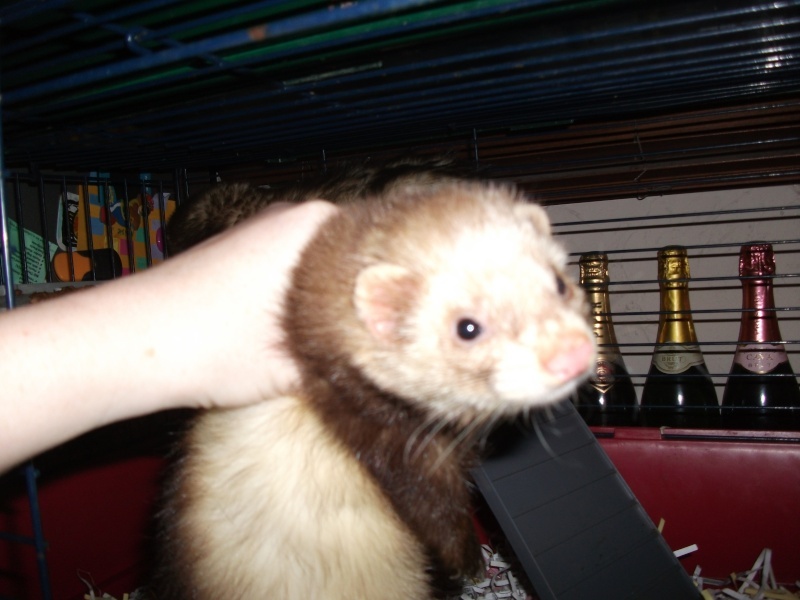 Can I just add that I have two lovely chunky boys who are with me in foster for the ferret hutch. One poley one dark sandy bith lovely characters and not at all nippy. I have some photos of them and will post them up later this evening. Then there is Rex. 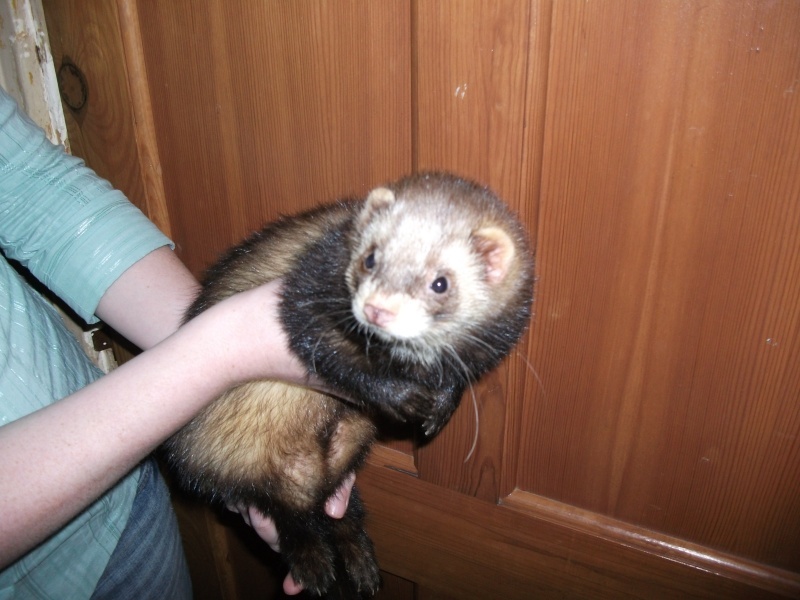 He is a dark Sandy colour and is such a teddy bear (and a little camera shy bless him!). If any ferret likes to sleep Rex certainly does. He does of course wake up for food and will of course cooperate if you need a cuddle! He is a very laid back chap indeed. Both these boys have not been at all nippy since staying here even though they are still only babies really at about 11 months and still need to be neutered. Their temprement cannot be faulty and can only get better as they grow up. They will really be missed when they find thier new home together. ok dean - just get debs to text if she needs pics emailing if she cant get them off thread!